Background: Introduced to Fly Drop Forge during a trade show nearly 3 years ago, a U.S.-based manufacturer would like to import closed die forgings from China and was seeking a closed die forging manufacturer to bridge the gap between their domestic operations and a client's goals of overseas saving. Challenges: Aside from showing a cost savings, quality was the biggest challenge on this project. 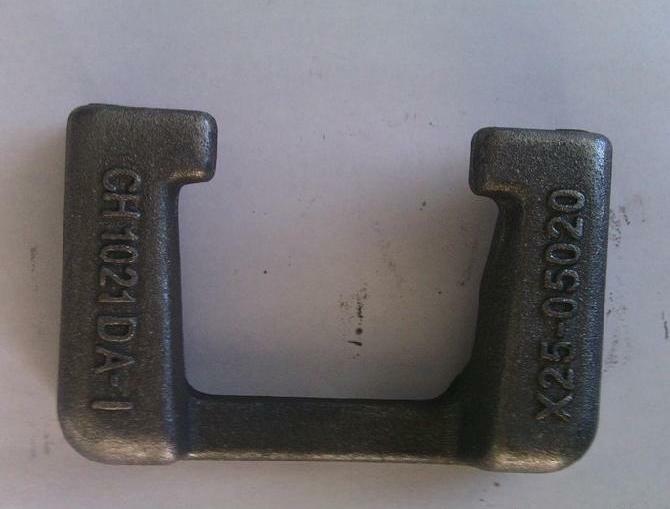 The closed die forging being requested had not been manufactured successfully overseas on a consistent basis by many factories, although closed die forging can produce the strongest steel parts. Fly company had to not only learn the product, but also creat the closed die forging processes through which super-clean parts that were adherent to tolerances could be produced. Service: Fly worked quickly to find and develop the right solution to service this customer according to the timeline required. Processes for forging,polishing and painting were established and refined,efficiencies improved, and quality assurance managed expertly by us. Samples which were required for a small build at the end of the project were delivered ahead of time, exceeding expectations. Today, this product and others now manufacturered closed die forgings for this core customer are still being managed by the same team who built the process initially.